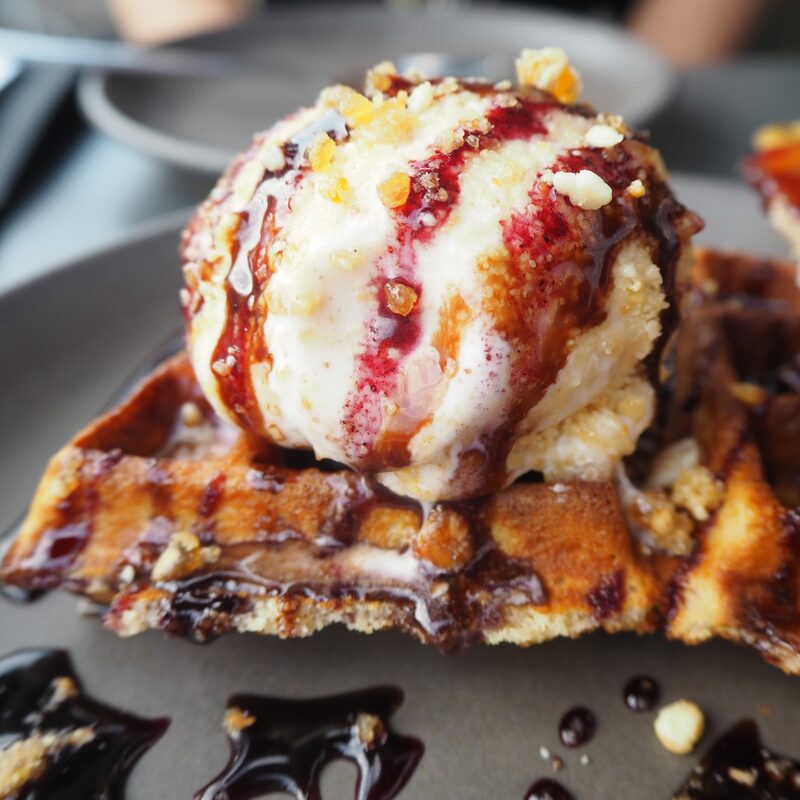 Dirty Bones: The Most Instagramable Food In Oxford? You may have noticed that I tried out Cinnamon Kitchen Oxford earlier this month which is just around the corner from Dirty Bones. Although they are relatively close to each other they couldn’t be more different in terms of the type of food they offer and interior decor. I rate the interior of Dirty Bones highly. 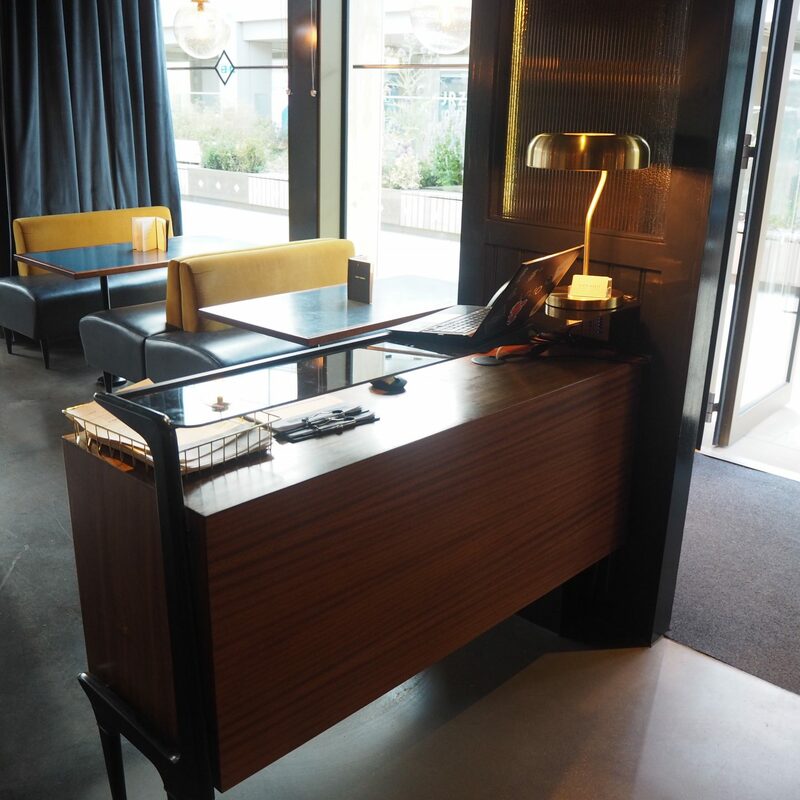 There’s a cosmopolitan / swanky vibe, mostly dark with golden hints throughout. 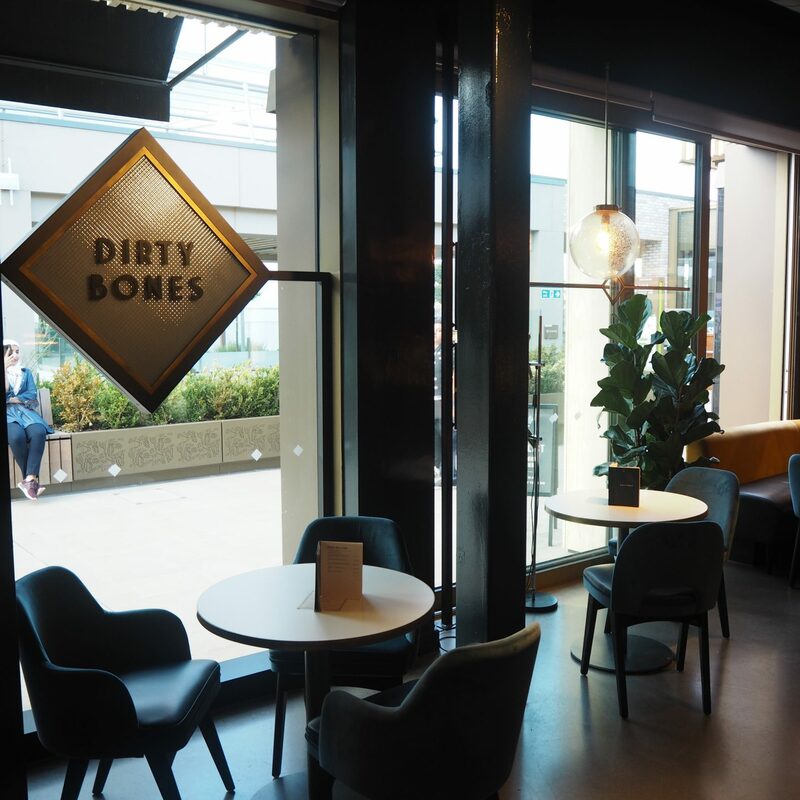 The Dirty Bones restaurant idea was inspired by Brooklyn, New York playing classic hip-hop, funk and soul music creating a chilled atmosphere for comfort food and enjoying some nice cocktails/drinks. To drink we tried the Butter Baby Shake which includes Creamy butterscotch, vanilla ice cream and milk and we felt cheeky so added the shot of Ketel One vodka. As well as this, you can see a large Kaltenberg Royal Pilsner in a 2/3 pint schooner. 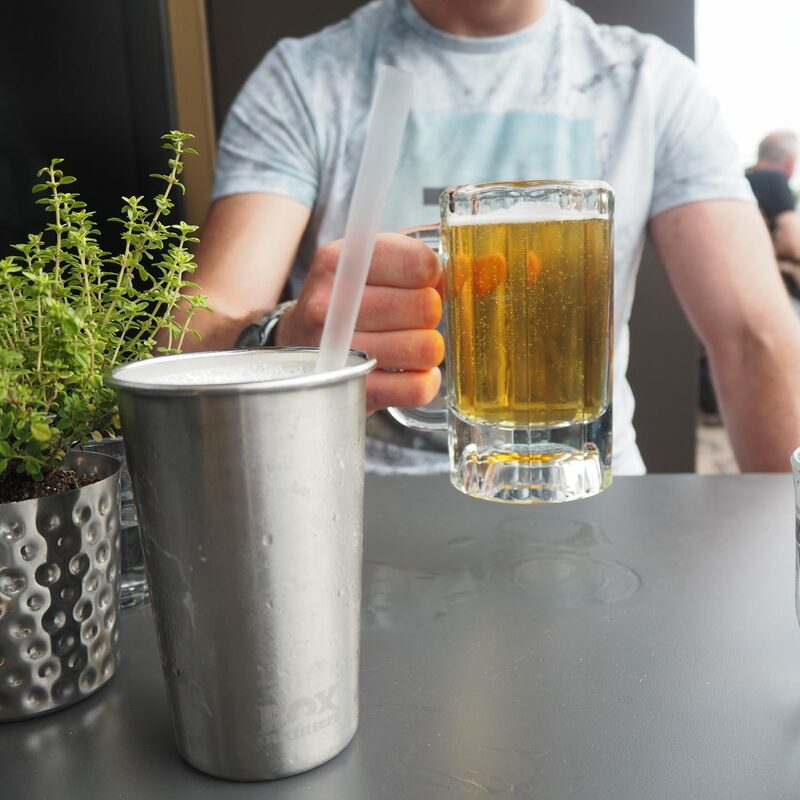 I tried both, was very impressed by the smooth and creamy texture in the Butter Baby Shake and its always a good sign when you order an alcoholic cocktail and can’t taste the alcohol… which can also be slightly dangerous on a night out after you have about 10 without realising. The Pilsner was also very good. The presentation of the food was simplistic but when you start tucking in, it really does look incredible. For our mains we had the Beef Short Rib Taco’s as well as a Dirty Dog. To accompany these we had a side of Mac and Cheese and Crispy Lamb Fries. Let me get the only slightly bad thing out the way. The Taco’s were slightly on the watery/oily side and there wasn’t much meat – that was the only negative of the entire meal. In terms of Mac and Cheese I’m sure you know its such a simple dish. But somehow dirty bones use ingredients that make it taste so comforting and you wish it was never ending. That being said one dish is plenty enough to share between two. The Dirty Dog, in my opinion, looks like the best hot dog I’ve ever seen served in a restaurant. I mean just look at it! The nice thing about it as well is that it is one of those rare dishes that actually tastes as good as it look, the hot dog itself was meaty and didn’t taste cheap, the bun with a brioche texture and taste and the sauce made the whole thing a hot tasty mess. The Crispy Lamb Fries were awesome. I love food with a bit of spiciness, and the way the meat was laid on top of the chips with the chilli’s is making my mouth water just thinking about it and looking at the pictures below. Interestingly though, I thought this was a massive portion. Way more than enough for one person, and in fact two of us struggled to finish it. It was big for a side dish and could be a main in its own right. I will be ordering this again when I return for sure. 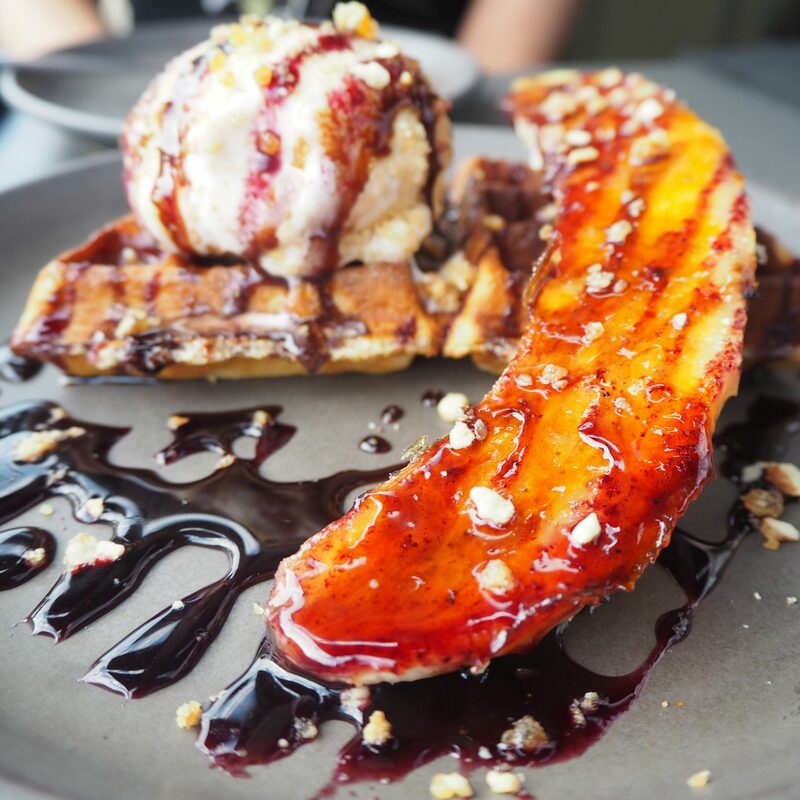 For dessert as we were going all out we decided to try the Caramelised Banana Waffles which consisted of: Caramelised banana, chocolate sauce, blueberry jam, salted peanut butter gelato and crushed nuts on a freshly baked waffle. This certainly was a good way to top off the meal. The consistency of the banana was a thin, crispy glazed outer layer, with soft banana inside. 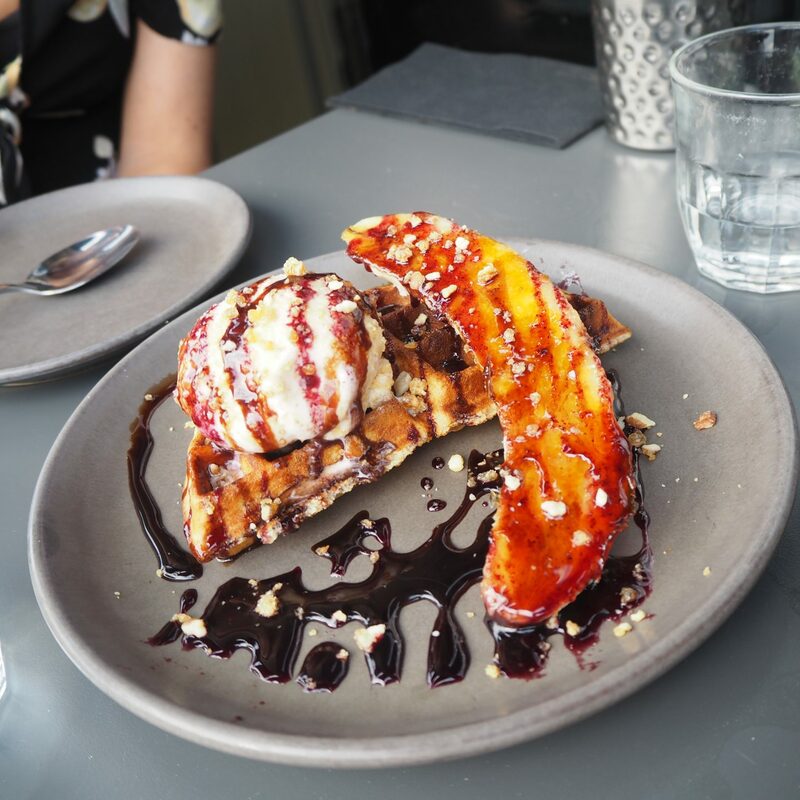 As a peanut butter lover, and someone that has banana and peanut butter a lot the flavours were amazing in this dish and the cold ice cream with the warm banana and soft waffle offset each other really nicely. Overall I would describe the food at Dirty Bones as a place to go for a nice chilled meal and to enjoy some comfort food. Expect to leave feeling very full and satisfied. I will be returning for sure. 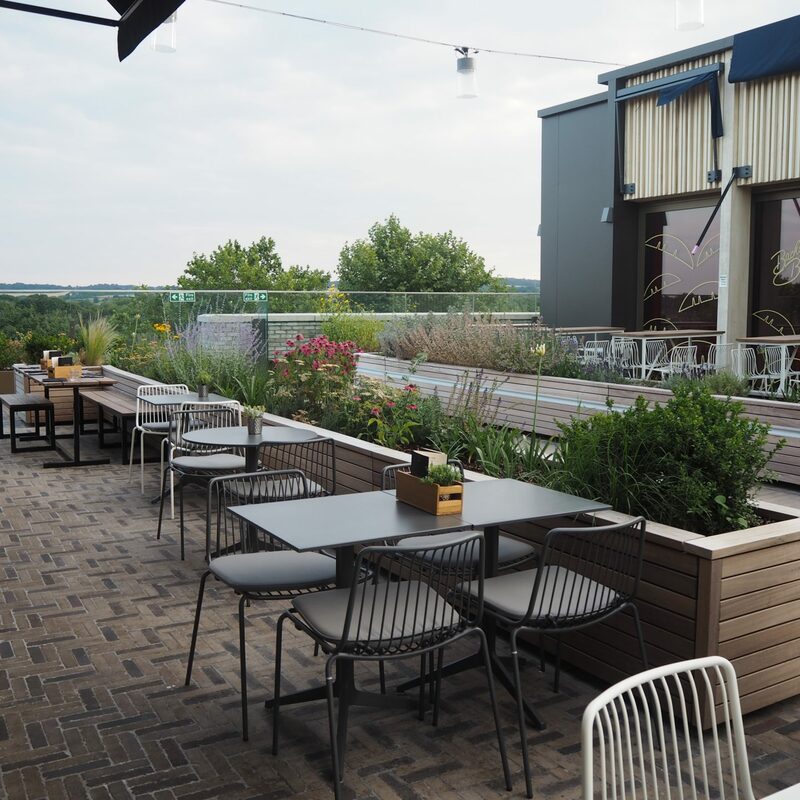 One thing to bear in mind as with a few of the restaurants on the Westgate Roof Terrace is that they can be a little pricier than other restaurants in Oxford. But with that is an expected and delivered high level of quality in the food and service. 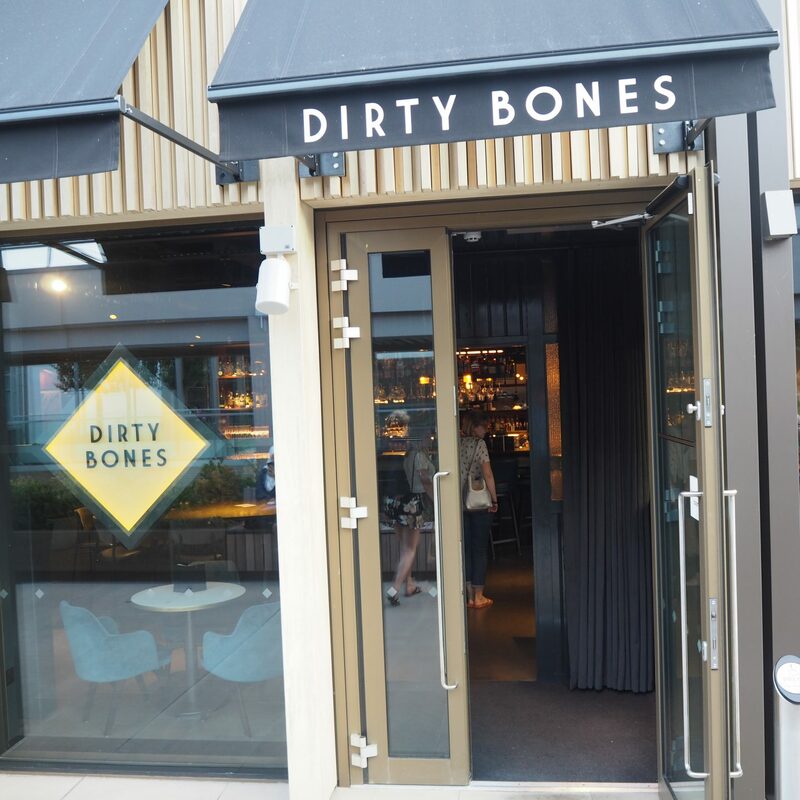 Come and try Dirty Bones once and you might be hooked though, I know I’ll be returning soon. Dirty bones has a Cocktail Hour / Late Night Cocktail Hour + DJ’s in making it a great place for post-work drinks, you can find out more here. Previous Post Cinnamon Kitchen Oxford – The Highest Quality Indian Food In Oxford?